Try It Tuesdays! : Try It Tuesday: Make a Screencast! Try It Tuesday: Make a Screencast! One great way to engage students and tap into their creativity is by showing them how to create a screencast. And that's what this week's Try It Tuesday is all about! 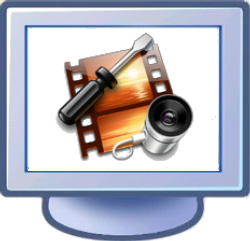 A screencast is a video recording of your computer screen that includes audio narration and, in some cases, video of the person who is narrating the presentation. Give a "virtual tour" of various websites or online information and resources. Demonstrate how to navigate a particular website. Give a Powerpoint presentation on any topic you can imagine! Screencasts are recorded and then can be uploaded to video sharing sites like YouTube or Vimeo. Why Make Screencasts with Teens? With a screencast, young people can hone and practice a variety of skills. They must plan out their presentations, write scripts, use the technology to record, edit and upload, and use presentation skills to make their recordings. Screencasts also give them an opportunity to create a tangible product that can be shared and used in a variety of ways. We all enjoy more "hands-on" learning and a screencast is a great digital product for young people to create. "Introduce" themselves by giving a 5-minute tour of some of their favorite websites. Create a "How To" on a topic that's interesting to them. They might create the "How To" in PowerPoint (don't forget to use their cell phones for taking pictures) and then use screencasting to make their recording. Demonstrate how to do something online, like compose a tweet or a Facebook status. You could also introduce the idea to them and then brainstorm different ways they could use screencasting. They'll probably come up with some pretty creative ideas that never even occurred to you! One of the best (FREE!) 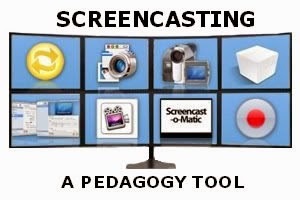 ways to make a screencast is by using the website, Screencast-O-Matic. It allows you to make recordings of up to 15 minutes that you can upload to YouTube and then share online. Videos can be of the computer screen only, or of the screen and webcam, so students can see themselves making the presentation. If you want some additional editing and other features, you can go Pro for $15/year or $29 for 3 years, which is a pretty sweet deal. Screencasts (made with Screencast-O-Matic) that explain more about how it works are available here--you'll see it's super easy to use! 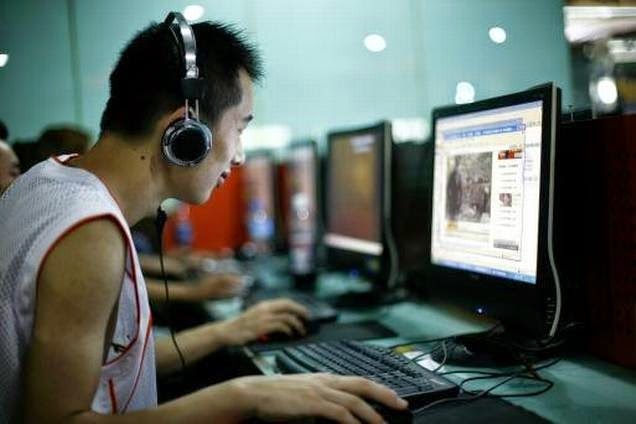 For uploading your videos, you'll also want to set up a YouTube account. If you want to set something up for classroom use, just create a "work" Gmail account and then use that to create your Youtube account. Plan it out with a storyboard--Because screencasts involve both audio and video, it's helpful to plan them out using a storyboard, as in the image below. You can download the storyboard template here and then print out for students to use. Practice before you record--It's helpful to practice a few times before hitting the "record" button. There's a lot to manage in a screencast--moving through websites or presentations while also narrating--and even veterans benefit from going through their presentations a few times before recording. Record in a quiet place--Background noise can kill your audio, so it's a good idea to find a quiet place to make the recording. If you're recording the webcam as part of the presentation, pay attention to the video as well--With Screencast-O-matic, you can record both the computer screen and the person doing the recording through the webcam, which is a nice feature. But this means the person is on camera, so they'll want to pay attention to how they look and present themselves during the video. You can share student screencasts through your YouTube channel, but you can also take it further if you want. You can use a tool like Wikispaces (also FREE) to set up a website. This allows you to not only embed the student videos, but also to add additional information, such as text, images and documents to support or explain the screencast. Or you can use Blogger (more FREE) to create a classroom blog where you can post the videos and supporting information. Before introducing screencasting to your students, you may want to experiment with making some of your own screencasts first. It's a great tool for creating online tutorials, so if you have any online components in your class, try making a screencast that shows teens how to do something, like navigate a website or fill out a form, then share it with them. This is a good way for you to get comfortable with all the features and to see where your students may run into problems. The project may be daunting at first, but once you go through the process, you'll see that it's fairly easy and that it can be a fantastic way to have students produce tangible documentation of learning that can be saved and re-used. The best case scenario for the bulls is that this count plays out. if this is the ""worst"" case scenario for the bears ... it's really not that bad ... if a top hasn't already been formed, we're close. night rats! may tomorrow bring you green shoots on whichever side of the fence you're on.